With every launch of a version of the iPhone, there is a rise in expectation level of users. While it was widely expected that the iPhone 5 would be launched in 2011, this did not happen. 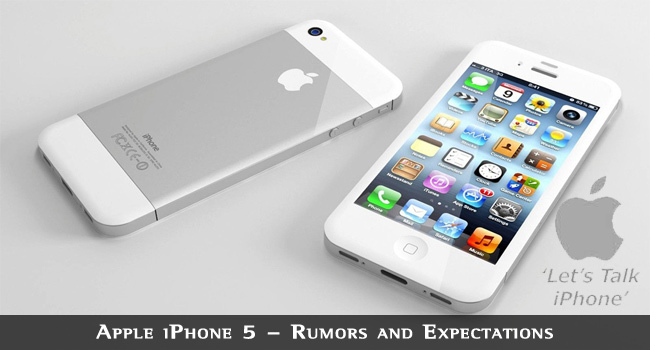 It is now believed that the iPhone 5 will most likely be launched in the September or October this year. Including the latest developments and features into the iPhone 5 to make it more attractive and advanced as compared to the previous releases has been responsible for the continued delay in the date of launch. What are some of these novel features that can be expected to be available in the iPhone 5? Let us take a quick look at some of the rumors going around. 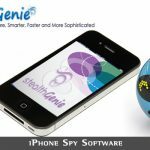 Although the design and looks of the iPhone 5 is shrouded in mystery, it is expected that this product is going to differ from its predecessors by offering a 4 inch display screen or larger. This is based on information provided by vendors and suppliers. Overall, it will be a sleek phone with a rather taller display having a near 16 x 9 aspect ratio. There might be a glass panel covering the iPhone 5, referred as “liquid metal”. Most people expect that the iPhone 5 would not be totally different from the earlier versions, but for slight changes in size and overall dimensions. The size of the smart phone is important since it has to cater to the main user category, whether it is the segment that types with two hands and prefers a slower processing speed or the user segment for whom, processing speed and sleekness are what matter the most. It is expected that a new quad-core processor will be used in the iPhone 5. Also 4G technologies will be supported. Another new technology that will be supported is the NFC or the Near Field Communication technology which will make it as a sort of credit or debit card, or electronic wallet. The new iPhone might come with an 8 megapixel camera using new and small back-illuminated stacked CMOS image sensors. Also it is expected that the aperture of the camera will be improved from f/2.4 to f/2.2. This effectively means that the front facing camera of iPhone 5 will be so enhanced that it can be used well for video chats and self-portrait images without affecting the quality. The current camera in iPhone 4S camera has VGA resolution, which would be increased to an HD resolution. An advanced in-cell display feature will make the iPhone 5 slimmer. There will be more screen space for apps to be displayed. Many older apps will be displayed with a black edged border. App developers would be keen to come up with iPhone 5 compatible versions. The iPhone 5 is expected to have 4G LTE connectivity for faster downloads and uploads. This will allow better downloading speed needed for video chats and apps. Every user would like to have the best possible download speed and longest battery life. Thus the iPhone 5 is expected to fulfill these basic user requirements. An improvement from the previous version is a must. The battery is therefore expected to last longer too. Most likely it will be designed to suit the space created by the tall iPhone5 design. Unless the iPhone 5 is radically different from the iPhone 4 and the iPhone 4S in terms of features and benefits, the price would be in a similar range. Till the iPhone 5 is launched in the market, there is bound to be excitement and speculation caused by the anxious wait. With Apple’s long standing tradition for innovation and research, the users cannot but remain curious regarding what new features they can expect in the iPhone 5. Matching the user expectation level on a continuous basis and providing user delight by adding on many unexpected features has been the reason why the proposed launch has been delayed from 2011 onwards. However, if the results are good, the users are prepared to wait. The launch could also be timed with the holiday season to generate more sales. Apple should really look for Indian fans too. Really cant afford the price. Also there is no contract base scheme available in India as of US and UK. Very Very Graceful iPhone 5 and very good website. Thanks for sharing post. They have to focus with the development of the next iPhone5S or they will face another misery from the competitor. Most people were see previous iPhone as low in specs and some feature were not there. Unlike, Samsung Galaxy that has some sort of performance.